Topics discussed included the importance of the OT/OTA licenses, how OT can help with pain management (and the opioid crisis), and the importance of increasing access to OTAs, especially in home health and birth-three settings. Thanks to everyone who participated in this important event! 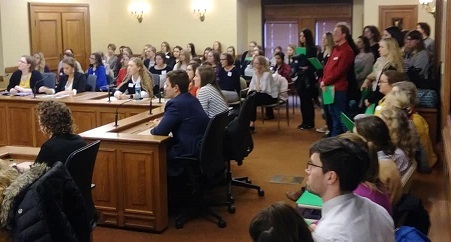 Comments on "Standing Room Only at OT Day at the Capitol "